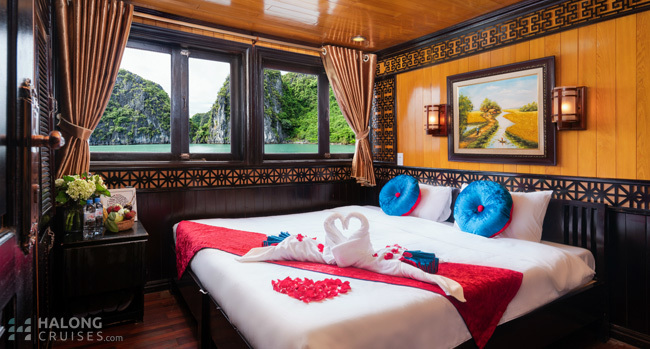 Individually controlled Air-Conditioning, Hot and Cold Shower, Complimentary Bottled Water, Large window with sea view, In-house Slipper, Toiletries, 220 volt plugs in cabins, Fire Extinguisher, Life Jackets, Speaker, Dry bag. 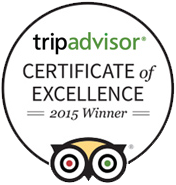 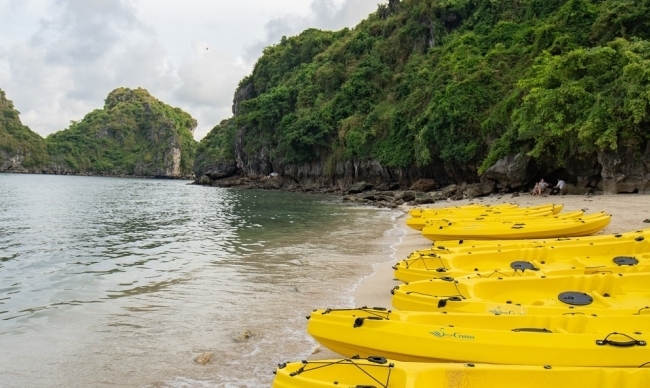 Ideal for parents travelling with children or a small private group. 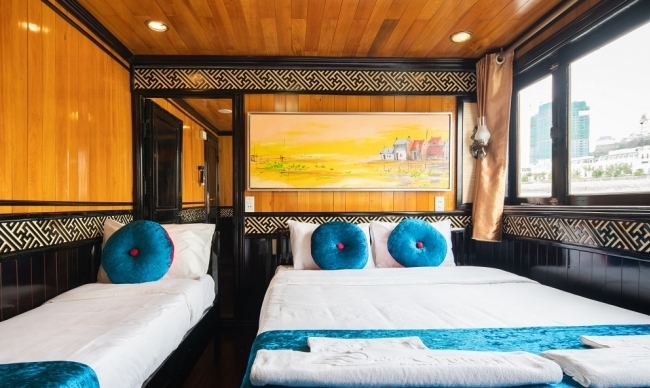 Beautiful decoration with closeness to local culture environment. 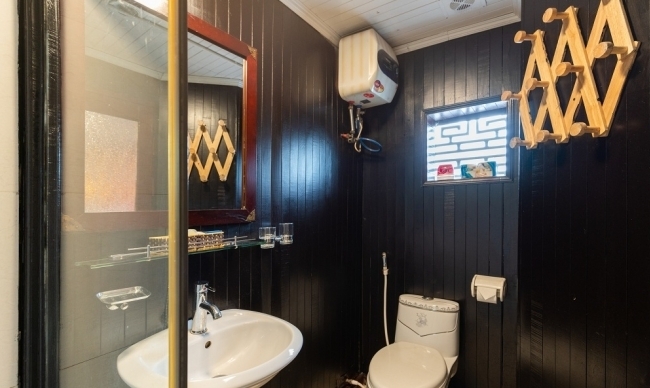 Ideal for parents travelling with children or a small private group, an inter-connecting door allows to access while still privacy. 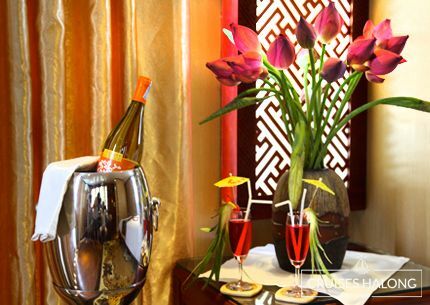 Beautiful decoration and closeness to the local culture environment. 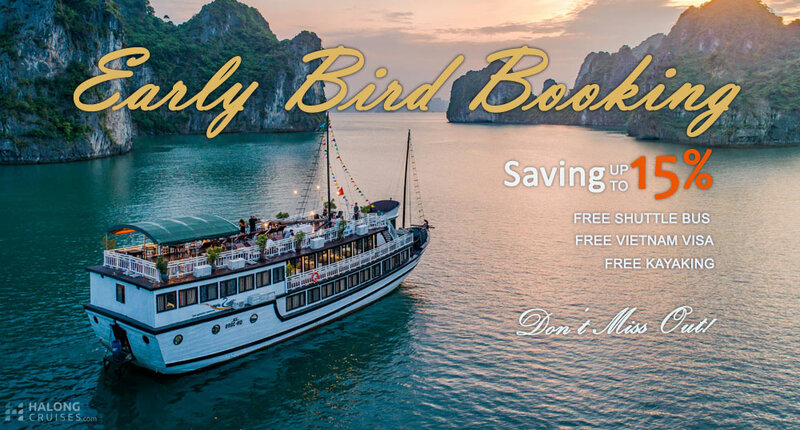 The launch of Swan Boutique Cruises on July 01, 2018 is laid foundation by the success of Swan Cruises with many years of experience in the tourism industry. 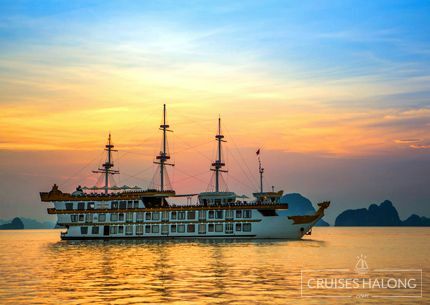 Swan Boutique Cruises continuously improve and upgrade the services of Swan Cruises. 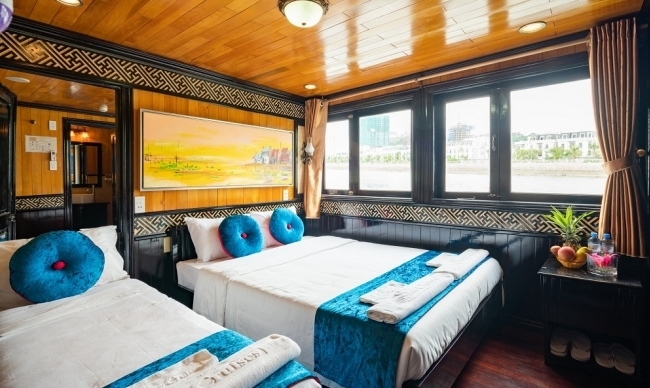 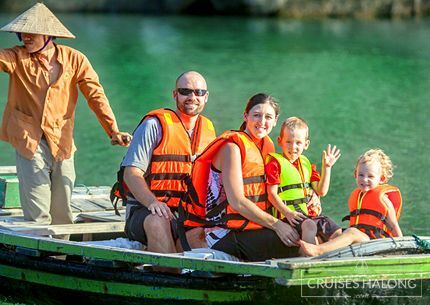 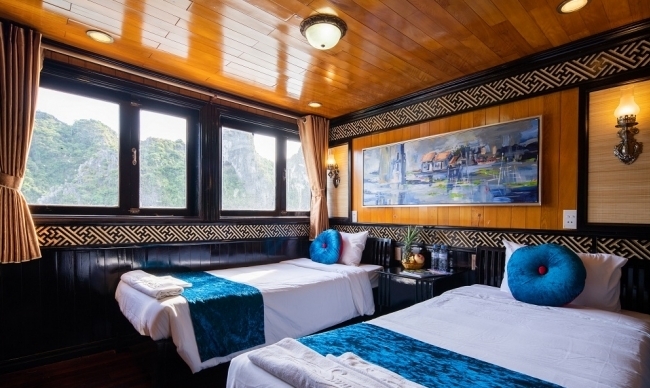 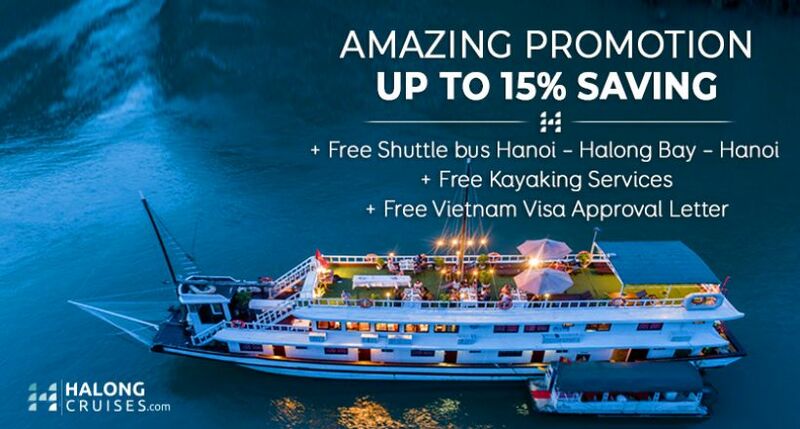 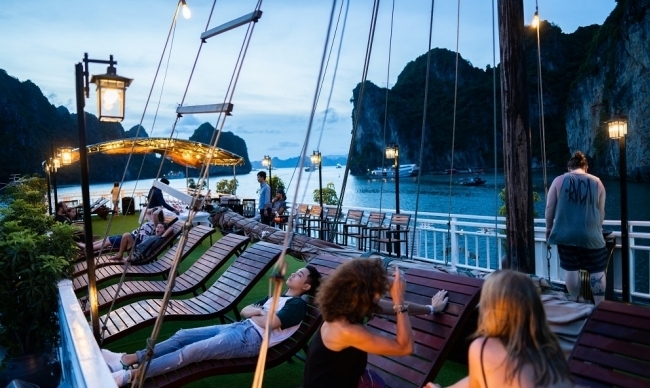 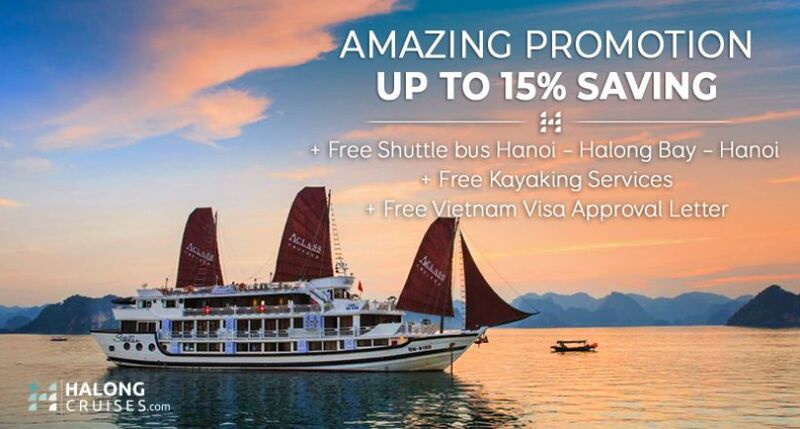 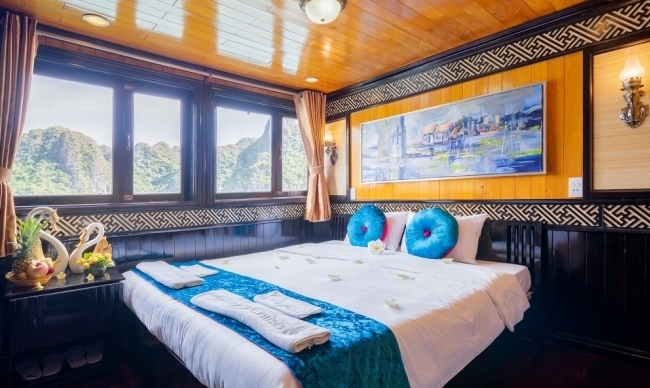 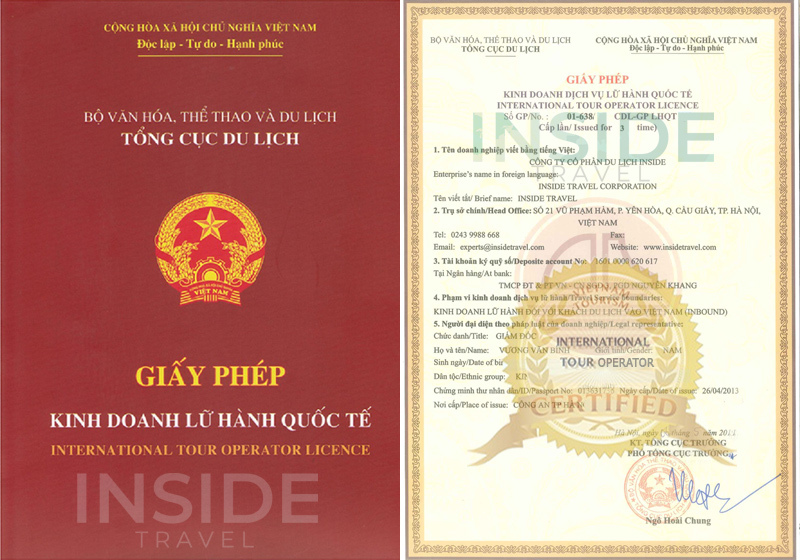 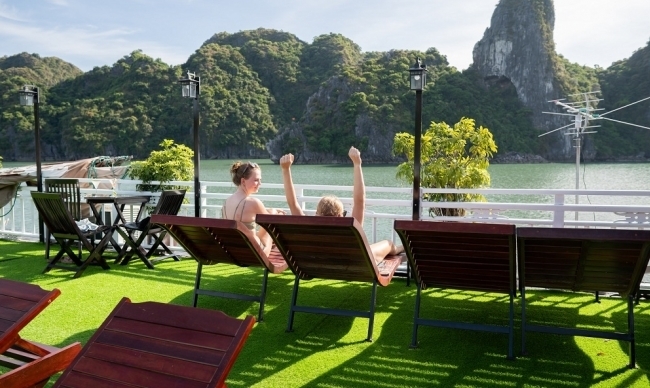 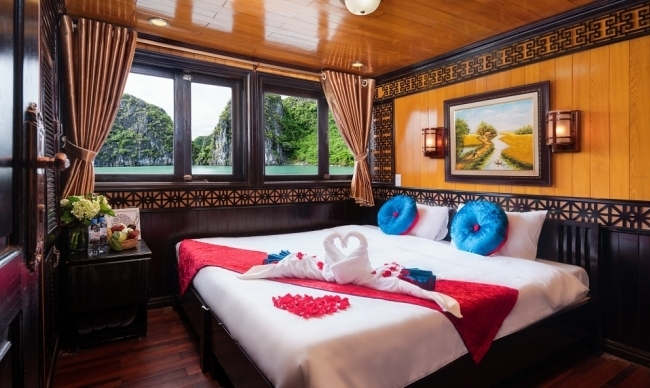 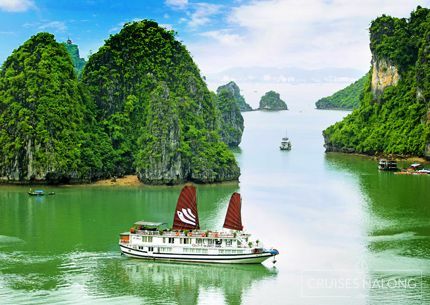 Beside the purpose of sightseeing, Swan Boutique Cruises with numerous attractive activities such as kayaking, sunset party, squid fishing, cooking demonstration, spa are actually the best choice for any tourist when visiting Vietnam. 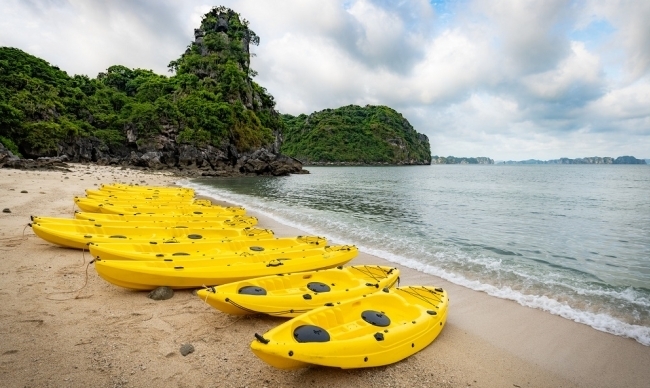 An ideal selection to experience a variety of interesting activities which bring unforgettable memories to each tourist such as kayaking, cooking demonstration, squid fishing,…Goodbye the atmosphere heated by sunlight in summer, we have a great chance to harmonize with the open air and soft light, listening the sounds of nature and deep into peaceful and fresh space. 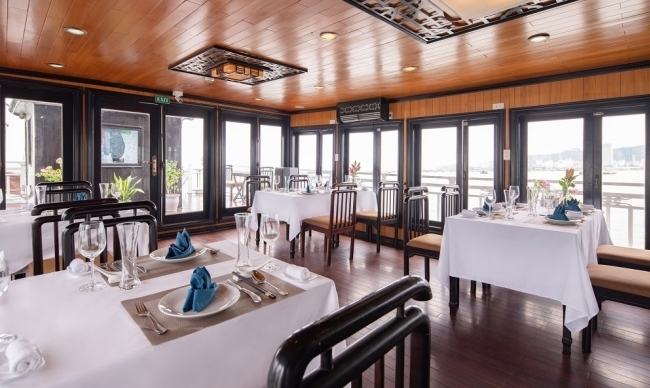 On Swan Boutique Cruises, tourists will be served all meals on a spacious space and enormous sea view. 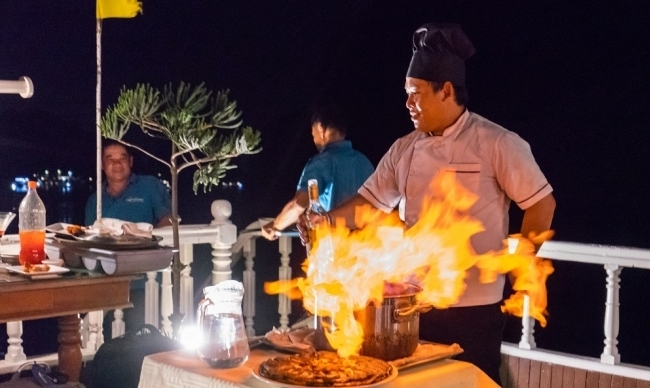 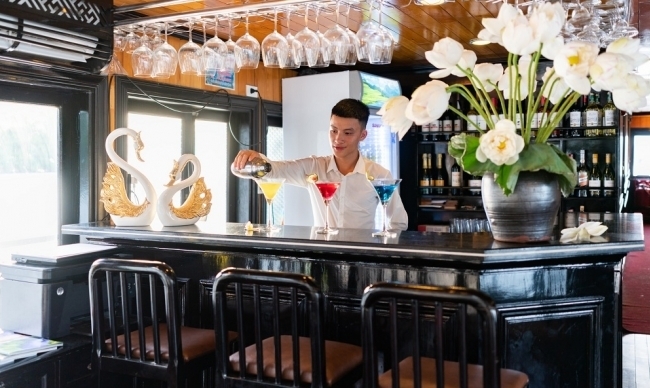 To guarantee that all demand of tourists can be met, Swan Boutique Cruises are proud of the well-trained and experienced crew and chefs who have ability to recipe numerous types of food, appropriate with the appetite of travelers from throughout the world. 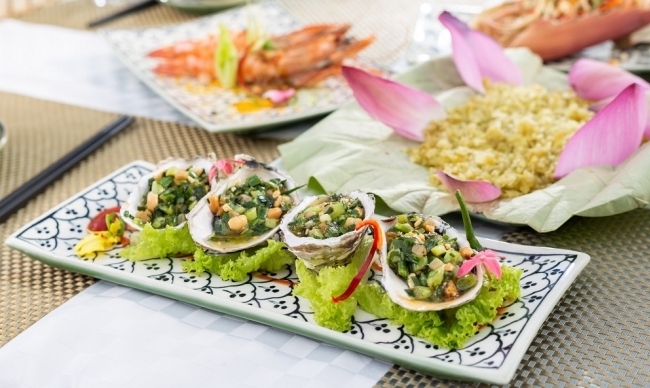 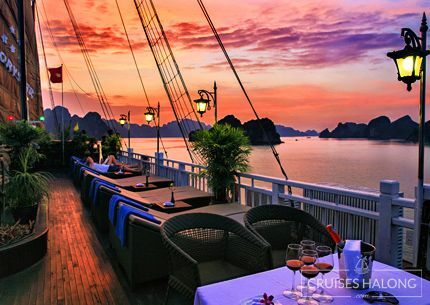 What is more, Swan Boutique Cruises mainly place an emphasis on Vietnamese traditional dishes. 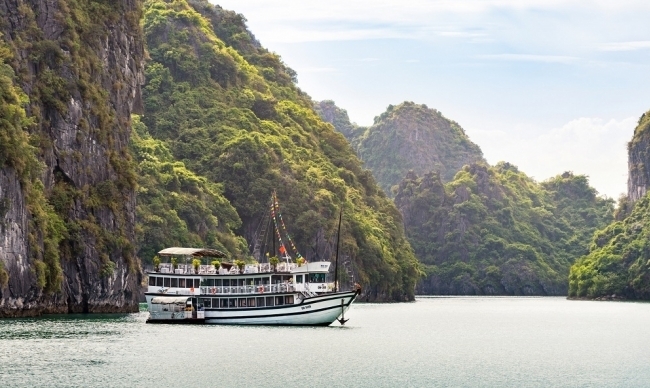 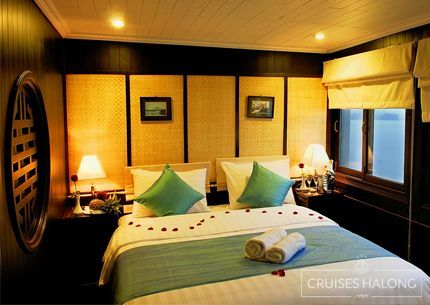 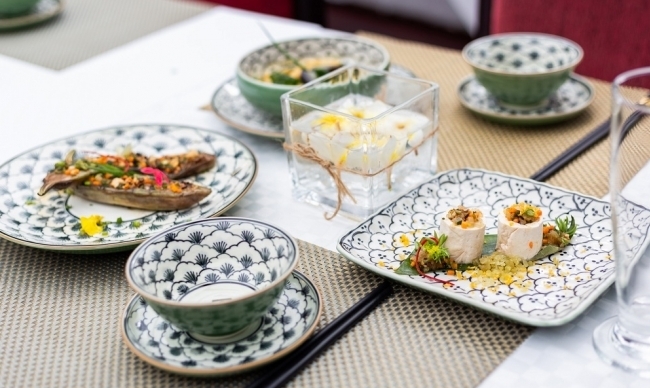 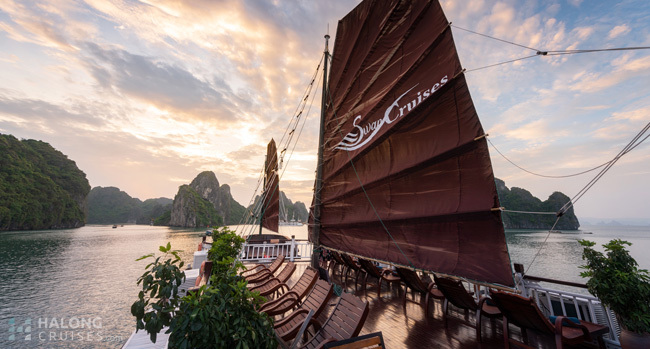 Swan Boutique Cruises give you a chance to try on Vietnamese typical cuisines. 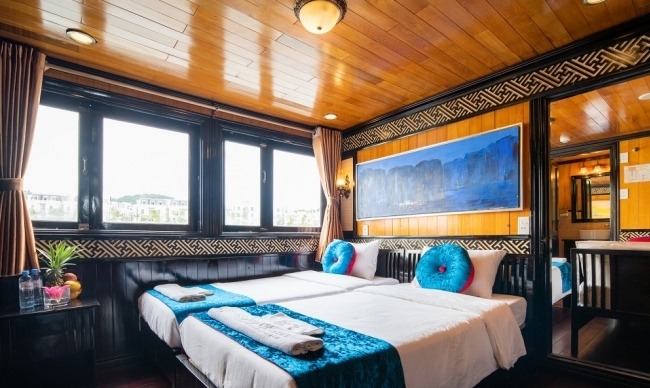 All are decorated in oriental style. 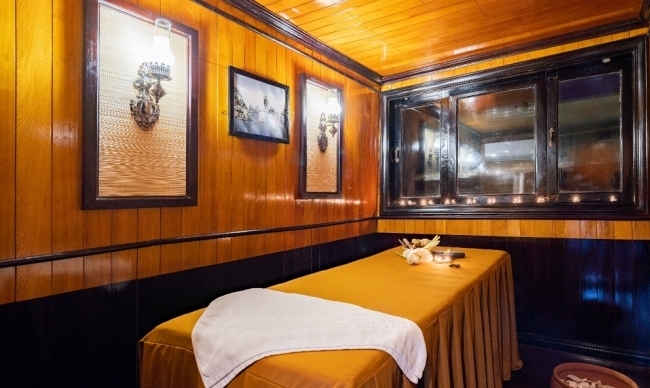 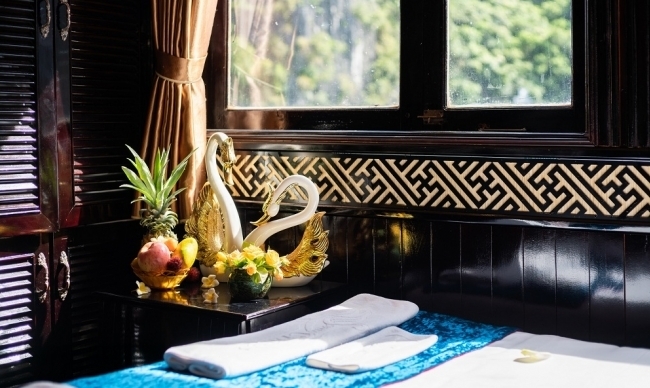 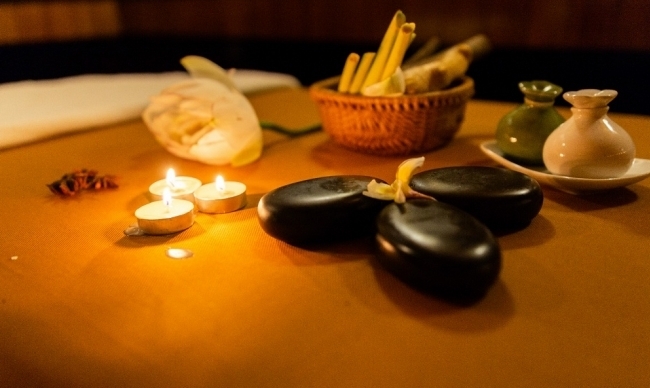 With a wide array of relaxing methods, Spa on Swan Boutique Cruises is absolutely beyond your expectations.Swan Boutique Cruises provide various methods and treatments of spa which definitely bring the great sense of relaxation and enjoyment to any tourists. 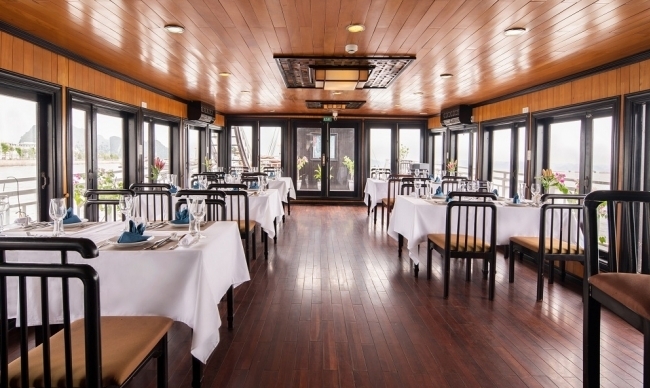 All are served in a Vietnam-styled space. 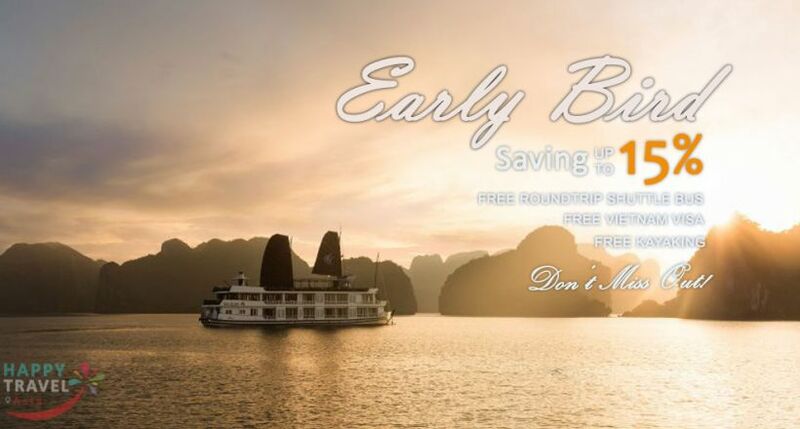 Swan Boutique Cruises hope to help our tourists escape from the city where the life is naturally busy and crowed. 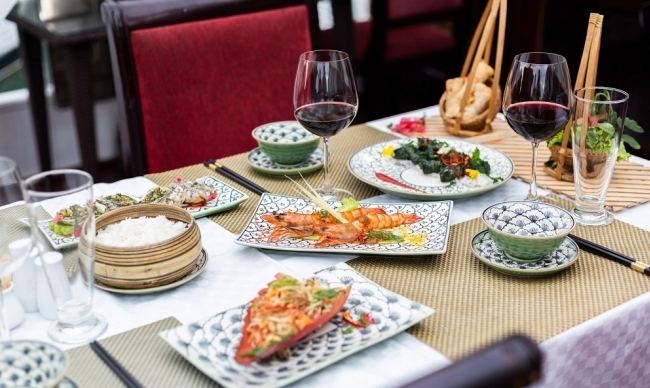 The atmosphere is overflowing of soft flavor of flower.